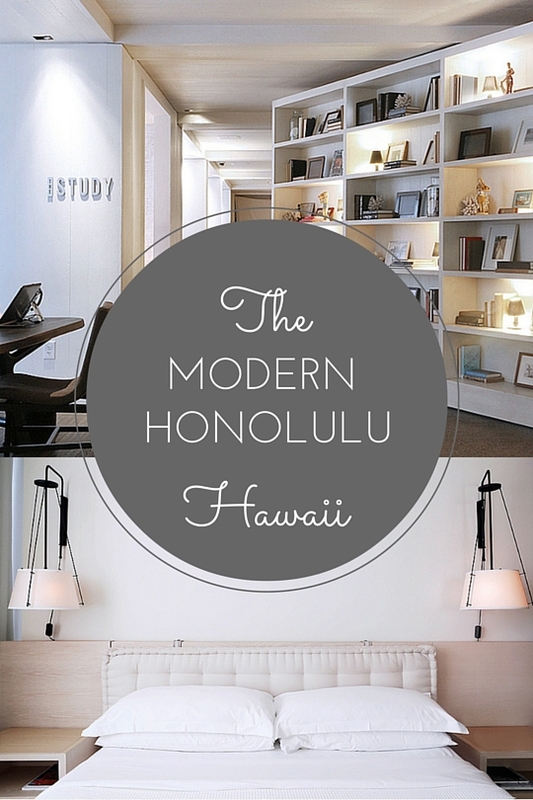 The Modern Honolulu offers the perfect balance of laid back luxury and sophistication in Waikiki on the beautiful south shore of Oahu, Hawaii. Waikiki is an island metropolis of luxury shopping and world-class dining just a few miles from some of the world’s most beautiful beaches, rainforests, waterfalls, and breathtaking geological wonders. Tucked just out of the way from Waikiki’s bustling main strip in Ala Wai Yacht Harbor is The Modern Honolulu, Hawaii’s most fashionable boutique accommodation. The design concept of The Modern is best described as contemporary minimalism with a tropical twist. Clean white and ivory interiors are accented with lush botanicals, rich wood, and little pops of color. 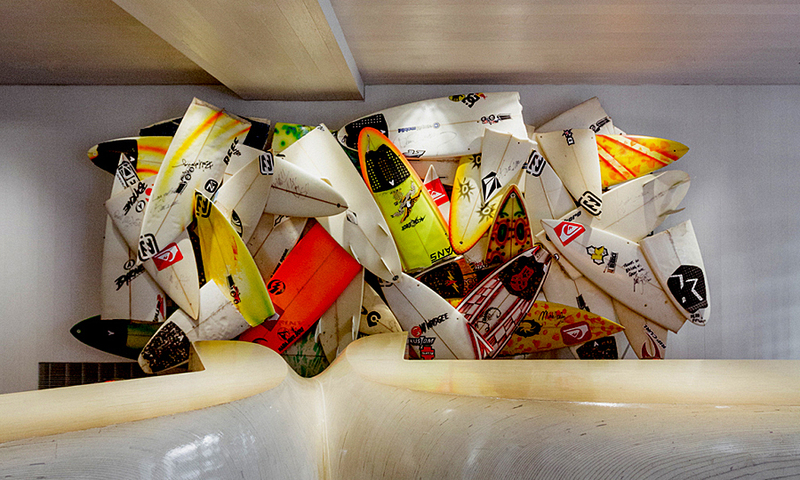 The first thing you’ll notice when stepping into the lobby of The Modern is an eye-catching art installation made of broken surfboards behind the check-in desk. The artist, Herbie Fletcher, created this piece using boards broken-in-action and signed by legendary surfers themselves. The two-teared pool deck of The Modern Honolulu offers a fantastic view of the Pacific Ocean and harbour, an especially romantic view at sunset. On the Sunrise Pool deck, lounge and jazz music play softly in the background as sun-kissed pool attendants serve handcrafted tropical libations, draft beers by Kona Brewing Company, and refreshing finger foods made with island grown ingredients. The Grove poolside bar serves an amazing breakfast menu with items like fluffy banana macadamia nut pancakes, eggs benedict, and a vanilla coconut latte made with 100% organic Kona coffee. A wooden staircase connects the Sunrise Pool to the adults only Sunset Pool (pictured above). Surrounded by palm trees and offering a view of the ocean, this serene upper pool deck feels like a heavenly private beach. 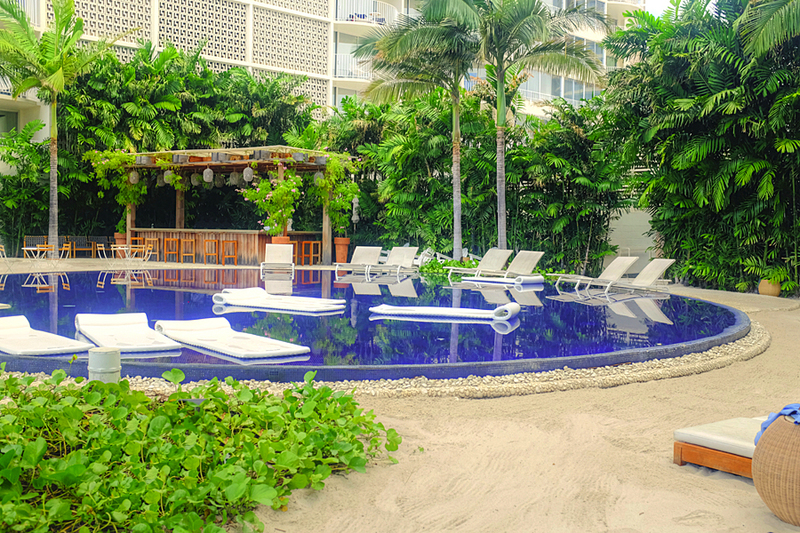 It’s practically impossible not to experience total relaxation while lounging on a plush day bed with real white sand at your feet sipping a frozen coconut mojito from the pool bar. The Modern Honolulu offers Waikiki’s most critically acclaimed dining experience at Morimoto. Owned and operated by Iron Chef Masaharu Morimoto, Morimoto is a fusion of contemporary Japanese and Pacific Island cuisine. The space is designed to give the impression of a modern Japanese zen garden, and was named Honolulu’s Top Restaurant by The New York Times. Morimoto features an impressive sushi bar made with seafood caught in Hawaiian waters and an ever-changing menu of distinctive Japanese-Hawaiian dishes. Guest rooms offer breathtaking views of the harbor, Waikiki skyline, and the Pacific Ocean. Rooms are minimal yet stylish, each with a sliding cedar door and a potted orchid. The only real downside of staying at The Modern: rooms are only available with walk-in showers, no bathtubs. 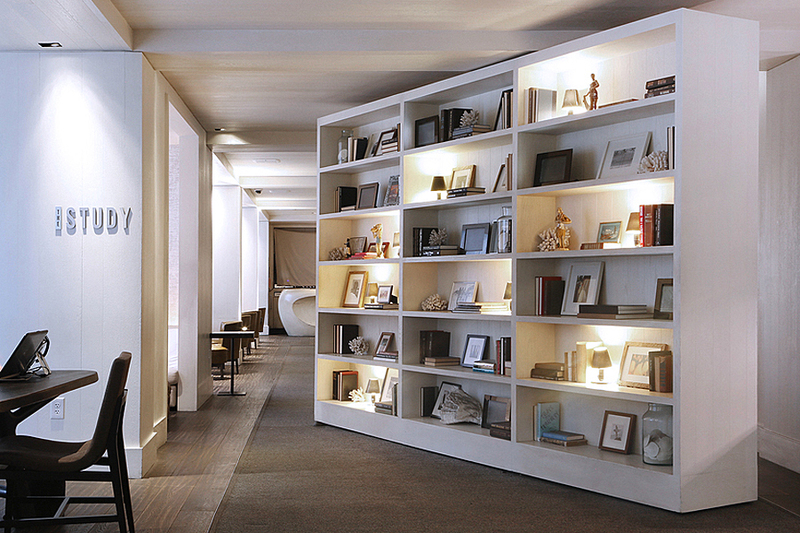 In the lobby of The Modern is a bookshelf filled with surf memorabilia, seashells, and antique books on marine life. Like a secret door in a mystery novel, this shelf rotates to reveal a room on the other side, The Study Lounge. At around sunset each night, The Study opens and invites guests to lounge on leather chairs and sip craft cocktails while listening to live music by amazingly talented local artists. Even after sunset, The Modern stays up late to host some of Waikiki’s most exciting nightlife at Addiction Nightclub. Annalisa is a travel and lifestyle writer based in Honolulu, Hawaii. Her blog features travel advice, reviews, and tips for discovering the best of Hawaii and beyond. Visit stonebrokehandbook.com and follow her on Twitter @stonebrokehi. 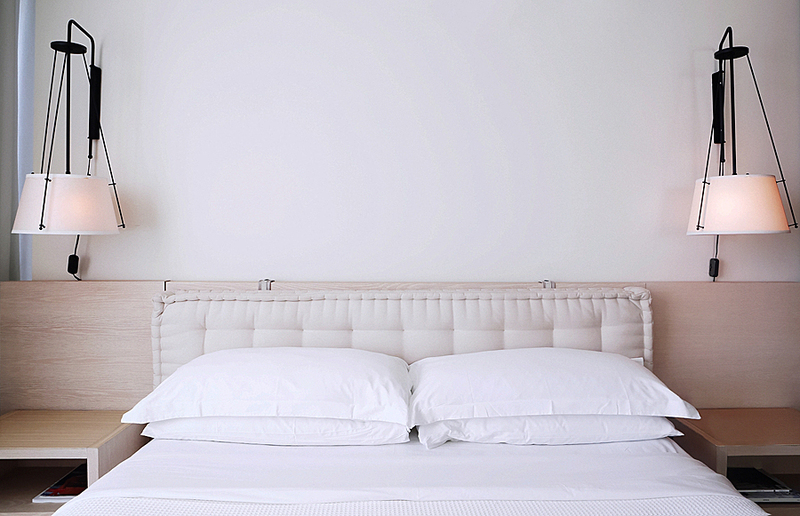 I love the overall feel and look that boutique hotels offer their guests. 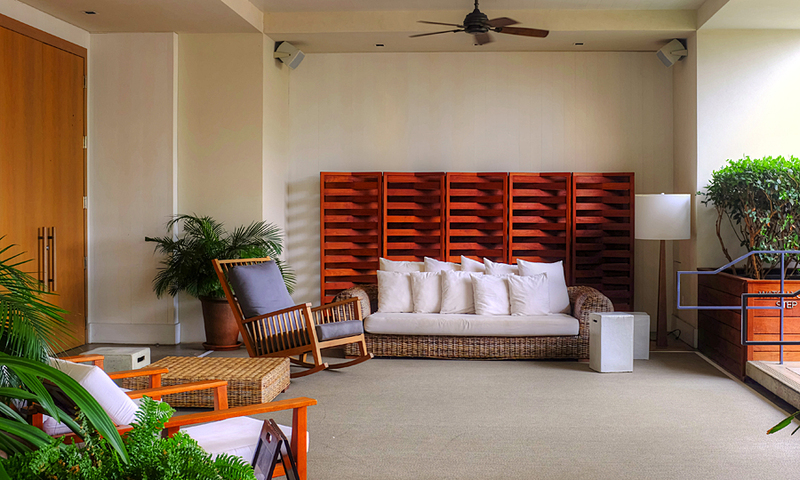 Like you mention, they offer a laid back luxury feel that brings in a sense of world class sophistication. I went to a hotel like this on my honeymoon and I can’t wait to go back and visit one again soon.